The Glasgow Coma scale calculator is a calculator which is a neurological assessment of a person. 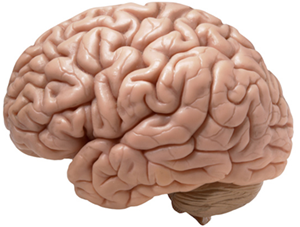 It is used frequently after any type of traumatic brain injury to test a person's neurological functioning. The Glasgow Coma Scale ranges from a score of 3-15. A score of 3 means the person is in a severe coma, whereas a score of 15 means the person is neurologically functioning well. The glasgow coma scale takes into account 3 categories, a person's motor skills, speech, and eye, to test for neurological functioning. The first category is eye response. A person receives a score of 4 if he or she has spontaneous eye movement. This means that he opens his eyes without need any type of prompting. A person will receive a score of 3 if he opens his eyes in response to speech or verbal command. The nurse may say, "Okay, can you please open your eyes?" A person will receive a score of 2 if he only opens his eyes in response to pain. For example, the nurse may push down on the patient's nail beds to elicit the opening of the patient's eyes. A person will receive a score of 1 if there was no eye opening after numerous attempts and prompts to do so. So eye response is scored from 1 to 4. The next category is verbal response. The verbal response is scored from a scale of 1-5. A person will receive a score of 5 if he is alert and oriented and the speech is normal and appropriate to the question being asked or topic in discussion. A person will receive a score of 4 if he is confused but his speech is still understandable and coherent. For example, the nurse may ask the patient, where are you? And the patient may answer that he is at home when in fact he is at the hospital. The answer shows confusion but still answers the question and is coherent. A person will receive a score of 3 if he responds with what is referred to as a word salad, jumbled phrases that are often completely unrelated to the question being asked. For example, a nurse may ask, "what is your name?" And the patient may respond that it's July 4th and I'm going to see fireworks. In other words, the patient responds with words that are understandable but are completely illogical and unrelated to the topic of discussion. The words may also be random, such as "It's Christmas. I'm going to go home and vacuum. The easter bunny is here. There's a college across the street from my home." A person will receive a score of 2 if he just produces incomprehensible sounds. This may be groaning or mumbling that cannot be deciphered or understood as words. A person will receive a score of 1 if there is no verbal response at all. The next category is motor response. The motor response is scored from 1 to 6. A person will receive a score of 6 if he can completely obey a command to perform a motor skill. This may be a command such as raise your arm and wiggle your fingers. A person will receive a score of 5 if he is able to localize to pain. So the nurse may put pressure on a certain part of the patient's body, such as above the eyes. If the patient takes his hand and places it on the point of pressure to remove the source of the pressure point of pain, he is able to localize to the source of pain to remove it. A person will receive a score of 4 if he withdraws from pain. So again the nurse applies a pressure point of pain to a certain part of the patient's body, such as pressing down on the fingerbeds. If the patient moves his hand away from the source of pain, he is able to withdraw from pain. A person receives a score of 3 if he displays decorticate posturing. This is an abnormal flexion response. This is when the hands are turned inward toward the chest and the legs are extended and internally rotated and plantar flexed. A person receives a score of 2 if he displays decerebrate posturing. This is an abnormal extension response. This is when the arms are abducted with the wrists pronated and fingers flexed, and legs extended and plantar flexed. A person will receive a score of 1 if he is flaccid, with no motor response at all. A glasgow coma scale score of 13-15 is indicative of mild to no brain injury. A score of 9-12 is indicative of a moderate brain injury. A score of 3-8 indicates a severe brain injury, where the person is in a coma. The glasgow coma scale is a great neurological assessment and it is used widely in the healthcare industry to assess any type of brain injury. So just remember that eye response is 1-4, speech response is 1-5, and motor response is 1-6. To use this calculator, a user enters in a person's response to these 3 categories, and the calculator will compute the glasgow coma scale score. If the glasgow coma scale is less than 13, usually a doctor will order further tests such as a CT scan, MRI, or EEG of a person to get more details of the person's injury. Thus, the glasgow coma scale can be used as a precursor for further electronic testing that may needed to be conducted of a person's brain.